SIOUX FALLS, S.D. 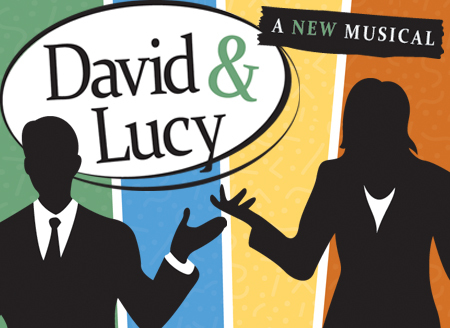 – The Good Night Theatre Collective, a Sioux Falls theatre company, has announced their November production of an original musical entitled DAVID & LUCY: A NEW MUSICAL. This brand new show was written and composed by Sioux Falls artists Luke Tatge and Ruth Sturm, and Good Night will be producing the world premiere at the ICON Event Hall from November 16th – 19th. DAVID & LUCY is the hilarious tale of two co-workers whose careers (and lives) aren’t going anywhere. They don’t care, as long as they get to spend their days making inside jokes and eating snacks. But when change is forced upon them, they have to answer one question: what happens to work spouses who don’t work together anymore? This story was inspired by classic sitcoms, as well as the creators’ dream to write a show set in the Midwest. DAVID & LUCY will take place at the ICON Event Hall on November 16th – 18th at 7pm and November 19th at 3pm. General admission tickets are $20, and are available at goodnighttheatre.com. Not only was the show written and composed in Sioux Falls, but the cast is entirely composed of eight talented local performers: Devin Basart, Wade Gemar, Jessica Johannsen, Kristy Kayser, Sydney Place-Sallstrom, Kim Sonnichsen, Bob Wendland, and Molly Wilson. Seven of these eight performers have been involved with David & Lucy: A New Musical since its first workshop in June of 2017. Full show details are available on Good Night’s website at http://www.goodnighttheatre.com/david-lucy-a-new-musical/. Get ready to become part of a real-life sitcom at the ICON Event Hall from November 16th – 19th. With an active arts community, the Sioux Falls Arts Council knows the importance of promoting events to artists and the general public alike. Events range from gallery shows and artist receptions to theatrical and musical performances. Continue visiting for detailed updates about what’s happening in Sioux Falls.